We haven't seen a military presence like this in Baltimore since Francis Scott Key wrote the "Star Spangled Banner"
(you know-- the National Anthem Obama doesn't like). Obama finally came out of his race-baiting-closet and conceded that these “race-riots” have more to do with bad-guys than race. Apparently the FBI agents he sent to Baltimore were impressed with all the serious injuries suffered by many Baltimore police officers from so called “teenage peaceful demonstrators” so they will not have to indict any of the wounded cops -- not clear what Obama intends for the governor over his "over-reaction" to some justifiably upset citizens. Why doesn’t Obama have the DOJ and Homeland Security find and fix these bad-guys? It's easy to pickup Sharpton next time he's in the White House! Is there something about the new Black Panthers? Roanoke Times, 4-28-2015, Pg Va 1, 6: Police, Stefano’s discuss ruckus. Talk about a monumental understatement! Discuss ruckus – Really? 50 hooligans spilled out of Stefano’s into a street brawl in the “new improved city square”. One banished an illegal hand-gun and pointed it at police. Police shot and fortunately missed all 50 hooligans thereby saving themselves indictment by the Obama-Holder justice system. Since 2012 there have been 3,000 police calls to this block in the “new improved city square”. Perhaps the Roanoke Fathers need to do more than “discuss the ruckus”! Go Ahead And Burn It Down and no one finds that to be a problem! “we also gave those who wished to destroy space to do that as well,” Rawlings-Blake said. 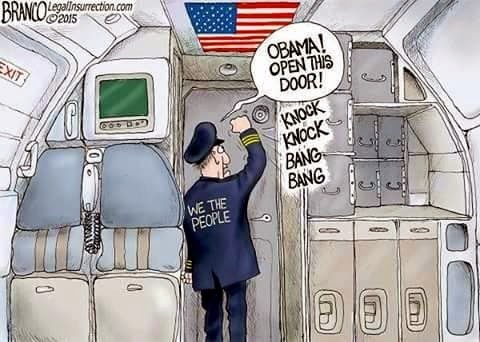 Obama had the FBI there to ensure the police didn’t over-react! This young woman has even out Sharptoned Sharpton! Leadership: When a big city mayor gives thumbs up to unbridled violence and chaos in her own town, she shouldn't be surprised when she gets it. Neither should those who voted for her and now will suffer the results. National Guard troops arrived in Baltimore shortly after midnight Tuesday, almost nine hours after a confrontation between black youths and police at a city mall mushroomed into riots during which several businesses were looted and burned and over a dozen officers injured. We haven't seen a military presence like this in Baltimore since Francis Scott Key wrote the "Star Spangled Banner" (you know-- the National Anthem Obama doesn't like). Roanoke Times, 4-24-2015, Pg 3: Coastal turbines’ expense blows up. A wind energy project is in the doldrums after “unexpectedly” high installation bids. Why would Wind Turbines on towers 250 above the water, in 100 feet of salt water, offshore in the direct path of annual coastal hurricanes with associated high-voltage power lines laying on the sea-floor be expensive? 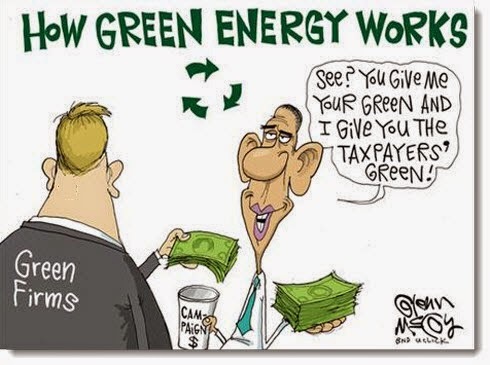 Obama: If you like your low energy costs you can keep them! If you like your 24-7-365 reliable energy you can keep it! 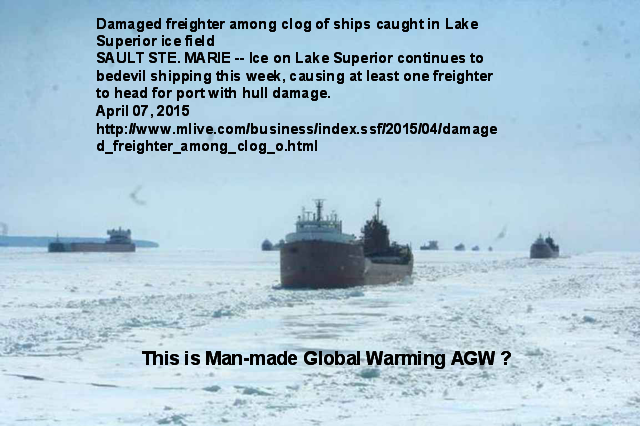 We continually read letters, articles and columns that support the anthropogenic global warming theory (AGW), along with the usual claims and allegations that this will cause nearly every imaginable problem and catastrophe. 2) These same temperature records also now show that no significant warming has occurred for about 18 years — while atmospheric carbon dioxide has increased by nearly 10 percent. It appears that there is no causal relationship here and suggests that other natural factors may be influencing temperature. 3) The many claims predicting dramatic and catastrophic temperature increases have been based on “global climate models.” However, these computer models have not been validated and have badly failed to predict current temperatures. And the divergence between the models and actual temperatures is widening, thus making any predictions based on them highly doubtful. 4) Some recent studies suggest the Earth’s temperature is less sensitive to carbon dioxide levels than previously thought — including studies show that even if atmospheric carbon dioxide should double, temperature increases could be as low as 1 or 2 degrees Celsius. And many agree that a 2-degree increase could, overall, be beneficial. 5) And a positive aspect has appeared — satellites are now showing overall increased vegetation growth around the globe due to stimulation by the higher carbon dioxide levels. This includes our food supply. Current data show that almost all food crop yields are increasing. 6) However, many activist groups and firms with vested interests — often with support from the Obama administration — loudly demand that we retreat from fossil fuels and replace them with “green” wind and solar power — even though such power is very expensive. European countries with extensive wind and solar installations are seeing dramatically higher electricity costs. (Germany’s are nearly twice as expensive as ours.) Plus, the intermittent and erratic nature of solar and wind power are creating instabilities in their electric grids. The fossil-fuel systems required for back-up must meet sudden and highly variable output demands, which has contributed to increased emissions there. In addition, the higher costs hurt the poor and the middle classes — and are reported to be causing “energy poverty” in Germany, the United Kingdom and elsewhere. 7) Several years ago, Google commissioned an engineering team to find ways to make green power costs lower than coal, but found that with current technology, it could not be done, according to a report last year in IEEE Spectrum, an electrical engineering magazine — and that even if they were successful, it would not be enough to “reverse climate change”. 8) Global warming skeptics are often pejoratively called “deniers.” But in reality, tens of thousands of scientists and engineers are skeptical about the catastrophic scenarios and extreme remedies, including eminent physicists Freeman Dyson, Robert Laughlin and Ivar Giaever, the latter two both Nobel laureates. The bottom line: Vast amounts of misinformation, scare stories and propaganda continue to be inflicted on us, much of it propelled by enormous government outlays and grants — as well as large expenditures by activist groups and from businesses that are pursuing government subsidies. But as more actual climate data and facts become available, more people are seeing them, asking questions and making their own decisions — instead of merely taking the word of politicians such as Al Gore and Barack Obama. And hopefully this will help. Ed Martin lives in Williamsburg and earned a bachelor’s degree in chemical engineering and an M.B.A.. He worked in the malting and brewing industry for 35 years and is now retired. Obama sends US warships to impose an Iranian “arms embargo on Libya”. Officials giving mixed messages on why US aircraft carrier shadowing Iranian convoy. An American aircraft carrier and its warplanes are shadowing an Iranian convoy approaching Yemen, as the U.S. beefs up its presence in the region -- but back in Washington, officials can't seem to agree on why. In 1962 JFK sent US warships to impose a “Russian arms embargo on Cuba”. There was no doubt or ambiguity in what our navy’s mission was! US warships face to face with Russian warships the embargo mission was clear! Once again Obama has put our military in harms way without a clear mission! 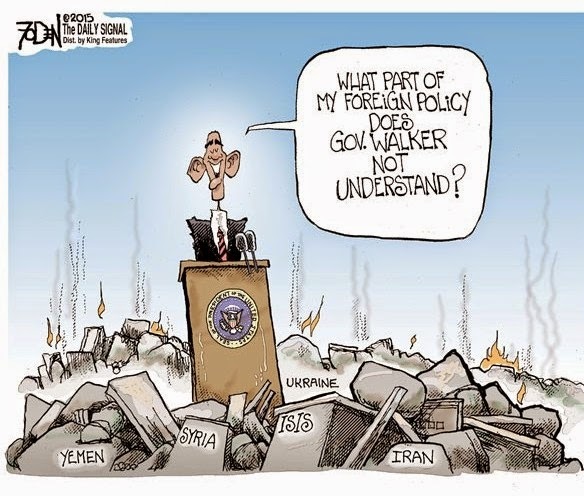 Has there ever been a president of the US as incompetent as Obama? Apparently, history demonstrates there has been none! 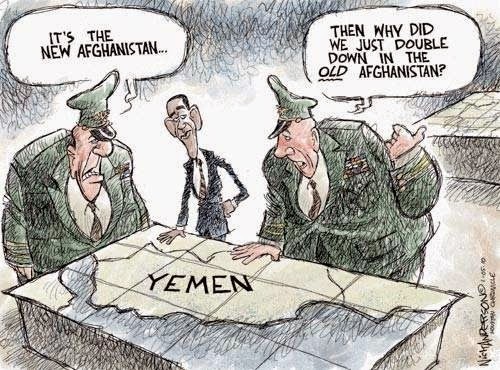 Obama’s State Of Yemen Tonight? Obama Sending GITMO Detainees To Help Open Our Embassy’s In Yemen? Hark – was that the two-minute warning bell? Can we squeeze out some overtime? Roanoke Times, 4-22-2015, Pg 2: Campaign hopes to stoke awareness of folks on spokes. The Virginia three-foot clearance LAW has created a major dilemma for many motor vehicle drivers. 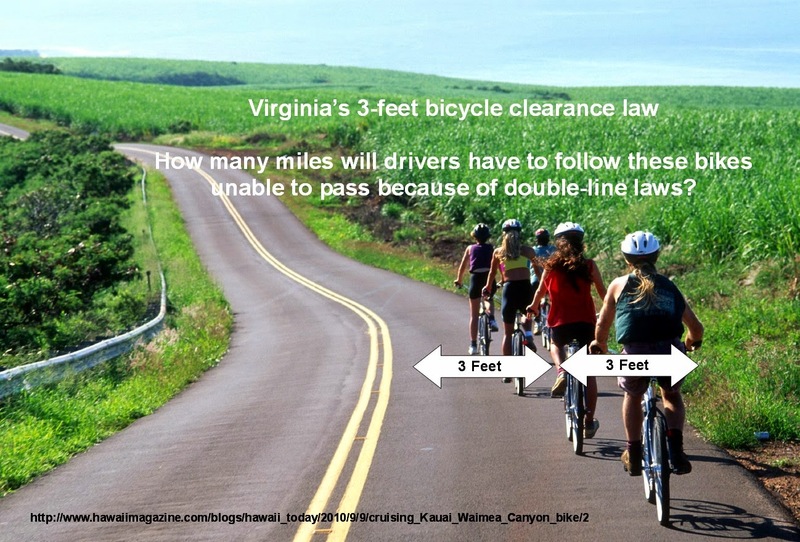 Apparently the lawmakers didn't consider the many miles of double-line rural roads in Virgina that do not have any shoulders no less a bike lane. This situation is aggravated by the number of vehicles that have substantial protruding side rear-view mirrors. Additional items of contention are that bicycles do not pay road-use taxes, do not have visible ID tags, "drivers" do not have licenses and many have very poor lighting for night driving. Bicycles create significant issues on the so called "greenways" (actually black-top mini-roads) no less on public highways. Perhaps we already are VERY aware of folks on spokes! Hillary’s presidential launch focused on those bad top one-percent money people who she is going to “topple” and then get equal pay for women. It’s hard to find anyone anywhere like Bill and Hillary that make up to $500,000 for a speaking engagement. How much is that per word? 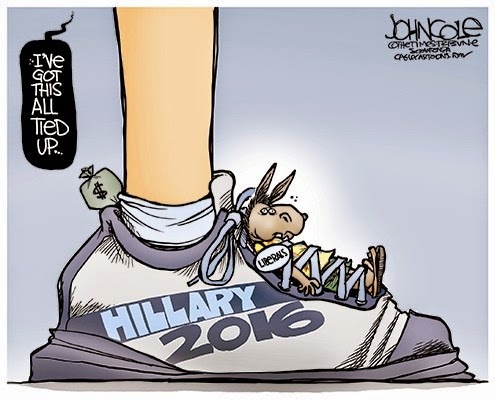 As Poor Folks with 25 Million personal dollars and two Billion dollars of foreign special-interest money in a slush-fund called their Foundation, one might conclude that Bill and Hillary are the one-per-centers who should be "toppled"! Running on equal-pay for women; Really? That’s already a law! Moreover, those who go to court and win those cases collect handsomely and form a strong basis for employers to keep good books on what and why they pay their employees. Apparently, Hillary’s not mentioning her so called accomplishments as Secretary of State. Lot’s of air-miles with few good outcomes to highlight. Is there any part of the world that has improved or become safer during her tour of duty? While the Pravda Press hounds each and every potential Republican Candidate, Hillary skates by with nary a real question. Even the latest book, “Clinton Cash”, by Peter Schweizer is being bashed and marginalized by the Pravda Press before it’s even released to the public. Roanoke Times, 4-12-2015, Pg 10: Study: Obesity cuts dementia risk by 29%; thin people had a 34% higher risk. Yet another “study” published by “researchers” using available data and apparently not a “cause and effect” study or analysis. Some life-observations and anecdotal data might cause one to question this study in the light of past highly publicized misdirected studies. The first chapter of every statistics book emphasizes that correlation does not prove cause-and-effect! Perhaps obese people don’t live long enough to get dementia due to heart attacks, strokes and sugar-diabetes. Perhaps thin people who do get dementia have reduced diets because they are ill or in the process of getting ill.
Perhaps the key cause for obesity, dementia and many other illnesses are primarily associated with genetics and DNA. The list goes on! Let’s do another “study”! One of the most destructive highly publicized and faulty “studies” was the 1974 “birth-control pill study" that proclaimed the pill caused several types of cancer. That “study” resulted in many women using faulty IUDs that resulted in very serious health issues. Perhaps one should wait for real “cause-and-effect” studies to be done before jumping to conclusions and misdirected actions. All this reminds one of the “consensus” of man-caused global warming and climate change! Consensus is not a scientific process or state either! Of all the hundreds of thousands of “studies” that are published every year, what are the media’s criteria for which ones to hype, and who chooses? Roanoke Times, 4-8-2015, Pg 1, 7: Obama: Climate change harms us. The president said weather has caused more heat-related deaths, allergies and asthma. Lots-of consensus with absolutely no supporting scientific evidence or even anecdotal data to support these claims. 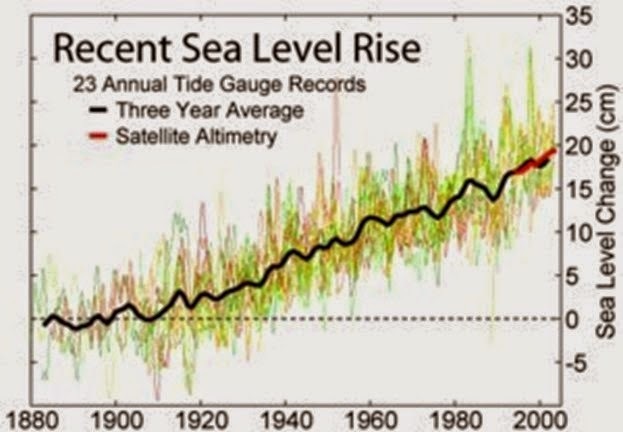 4-16-205, Pg Va 2: McAuliffe: Climate change, rising sea levels also endanger economy. There has been less than one degree warming since the 1750 warm-up that ended the little-ice age and no significant warming for past 20 years. The Gore-Mann hockey stick has been totally belied by Mother Nature! There also have been insignificant changes in weather, global warming and global climate change from either Mother Nature or man-kind during the past 100 years. It’s notable that our “weather persons” refuse to relate current major weather events in context to historical recorded data. Much of the hype surrounds the fact that we now are a nation of 330 million people and are now a “target-rich environment”. Isn’t it interesting that the Pravda Media never publishes the following data! Apparently, they think that Political Proclamations and Consensus are Science! 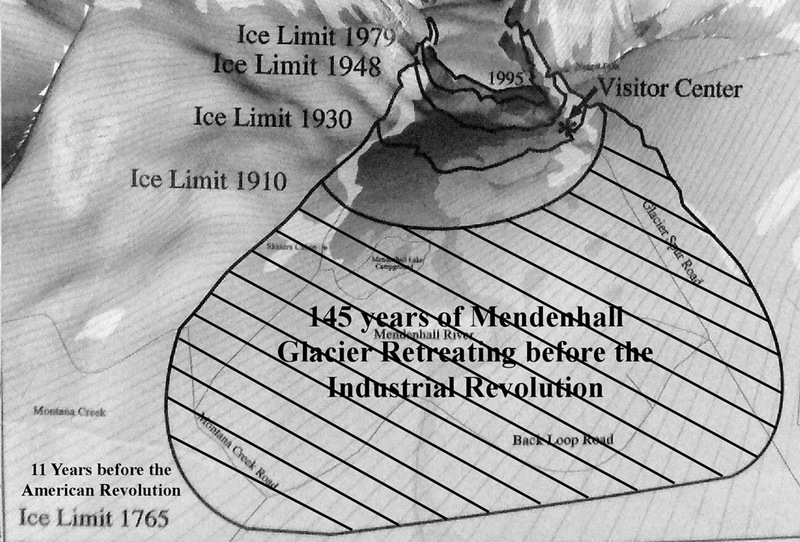 The Sea's have been rising for 16,000 years, and are still rising, totally independent of man-kinds CO2. There has not been any significant global warming for 20 years. An interesting news item is that Climate change debate is coming to West Virginia classrooms. This means that students and teachers will be allowed to discuss the alleged man-made global-warming and the alleged resultant climate change as a HYPOTHESIS and NOT a proven scientific FACT. Why can’t that be done in schools in the other 49 states? Why can’t that be done in all the media? Why can’t that be done in every College and University? And we thought the Pope was tough on Galileo! 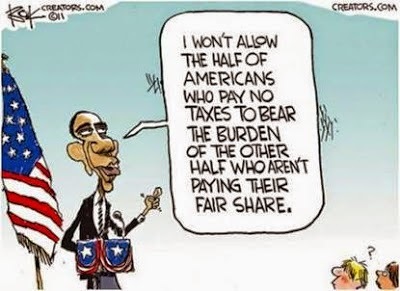 By April 27 the “average taxpayer” will have made enough money to pay his tax obligation for the year. That person will have worked for 4 months or one-third of the year to support basic services plus the redistribution of the nation’s income. Today your 1040’s are due in along with your tax payments most of which you were forced to pay weekly during the year. Don’t be fooled with the tax refund scam, that’s simply taxes you paid in-addition-to what the law says your government can claim/confiscate. 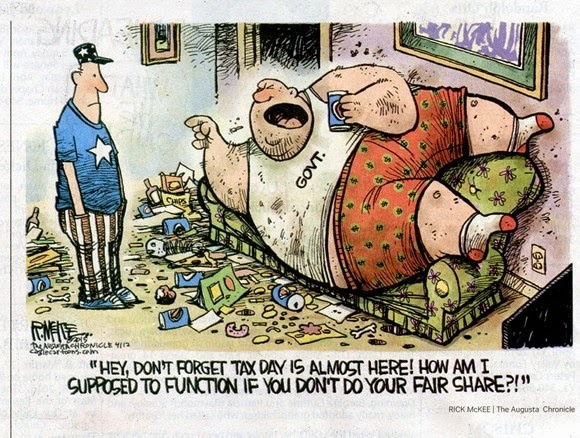 Taxes are Due Unless you are the millions of persons for whom the IRS tax system is now being used as the new welfare money distribution system. Didn’t Bill Clinton eliminate welfare as we knew it? The current tax burden pales in comparison to the massive underlying debt. We continue to borrow money at an astounding rate and as interest rates rise, the service (interest) on the debt plus the committed obligations will crush our tax-payers and our financial systems. Obama admitted that the Iranian “deal” will only delay Iran’s development of a nuclear weapon placed upon an intercontinental ballistic missile. Based upon Obama’s announced deal with Iran over nuclear weapons, Russia (Putin) is now shipping the most advanced S-300 anti-aircraft and anti-missile rocket systems to Iran. Some may now compare Obama and Kerry to Norway’s Vidkun Quisling whose collaboration with the 3rd Reich betrayed Norway under the guise of “Occupation is inevitable so it is best not to resist”! Just a week after agreeing on a framework for a nuclear deal, Iran’s supreme leader and the Obama administration clashed over its core elements, rekindling doubts about whether Washington and Tehran can finalize an accord by a June 30 deadline. 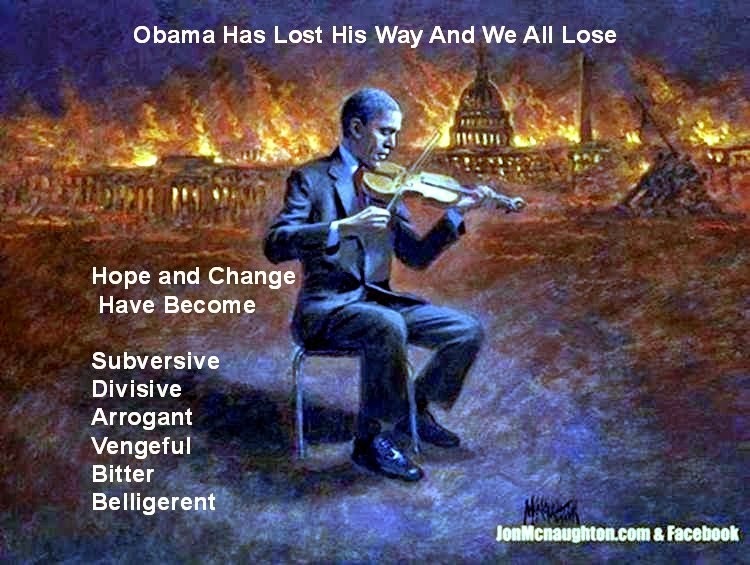 Obama stop whining about others and focus on your own incompetence! You have tried to negate the Constitutional requirement that Congress must approve Treaties, especially something as important as nuclear weapons proliferation, thereby alienating most of the members of Congress. You have conducted negotiations in secret with the major supporter at the epicenter of Radical Muslim Terrorism. You have excluded and berated Israel, our only real partner in the Middle East, and the country most likely to be destroyed by Iranian nuclear weapons, perhaps in the hands of Hamas or other terrorist groups. You have demonstrated over the past six years that you and your minions are incapable of managing the Foreign Affairs of this Country. Just quit your whining, it’s very unbecoming and marginalizes the office!